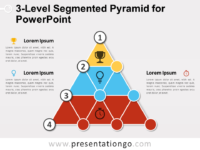 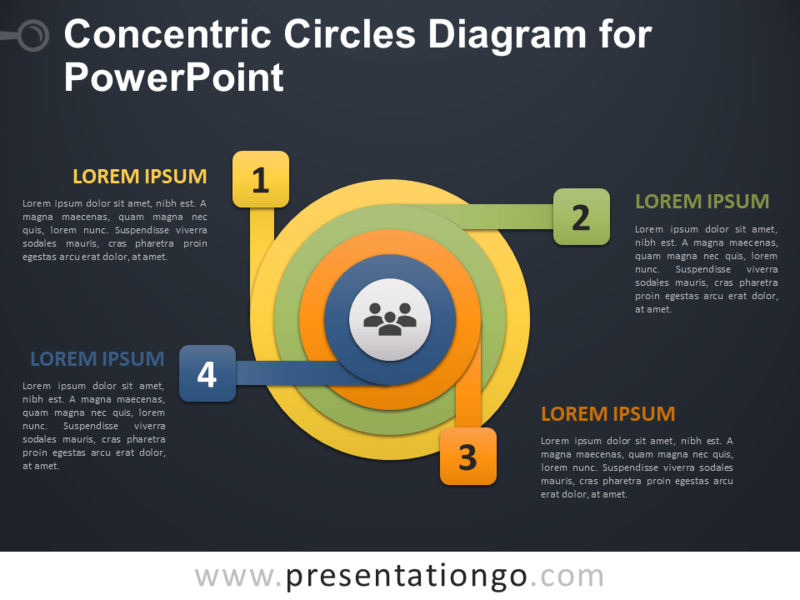 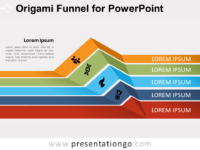 Free concentric circles diagram for PowerPoint. 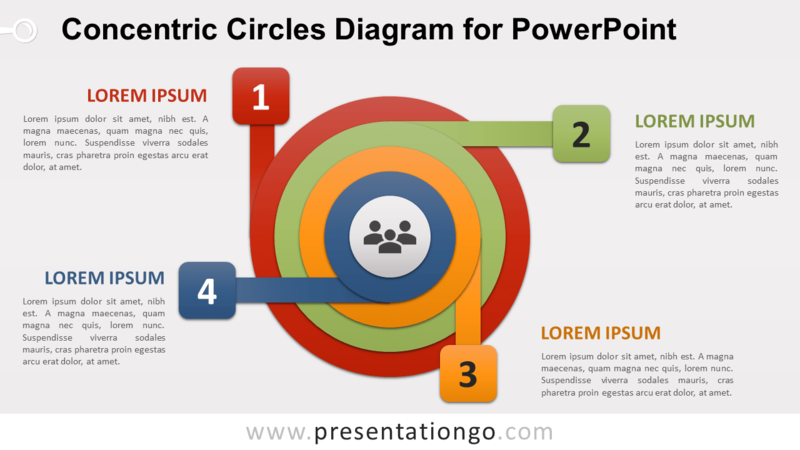 Colorful radial diagram with four (4) overlapping circles of different sizes and banners. 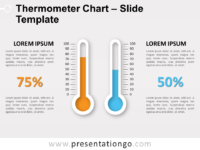 Editable graphics with numbers, and text placeholders. 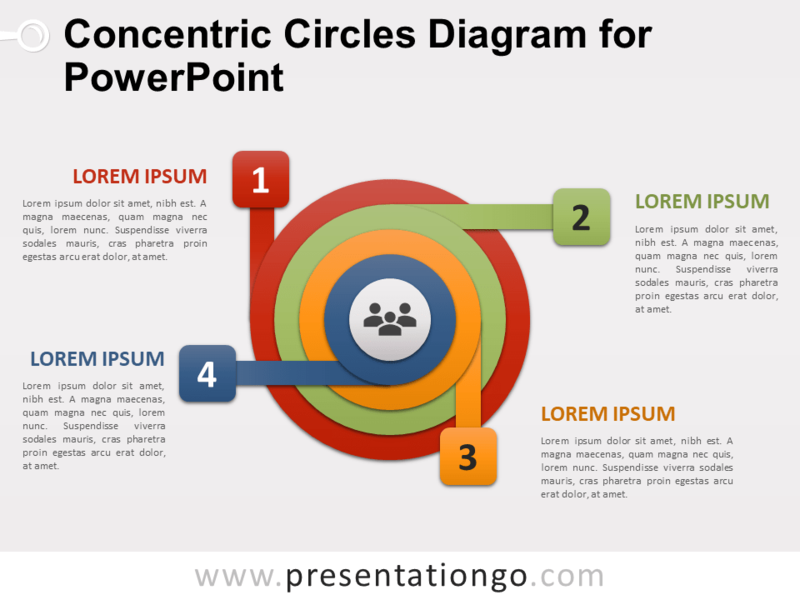 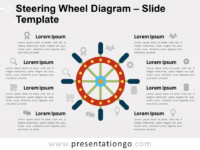 Use this concentric circles diagram template in your presentations to illustrate interrelated or overlapping information. 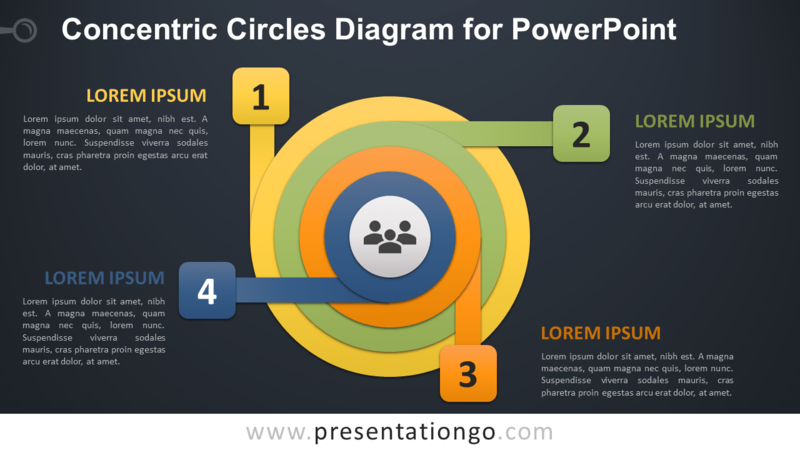 You can easily remove layers (circles) to match your needs.